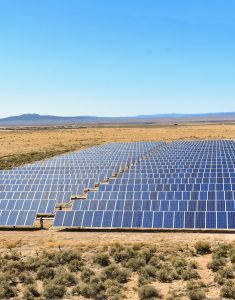 In 2002, Luis A. Reyes, Jr., CEO of Kit Carson Electric Cooperative (KCEC)strategically began to implement solar energy for the distribution grid serving Taos, Rio Arriba and Colfax Counties. By 2010, KCEC’s members voted for KCEC to move towards a lofty, yet unspecified, goal of 100% renewable energy. As multiple solar arrays were installed, Power Purchase Agreements were signed, research into wind and geothermal were explored, partners emerged, KCEC built the first community solar array and conversations with many members were had, KCEC arrived at the decision to leave Tri-State Generation and Transmission Cooperative. In 2016, the negotiations started and by July 2017 they were complete. KCEC bought out of its contract with Tri-State, which limited solar generation to 5%, in an amicable fashion. These actions follow a long, historical tradition of cooperatives serving their members and having a deep concern for their communities. By 2017, 100% DAYTIME solar energy became a clear, practical and achievable goal. 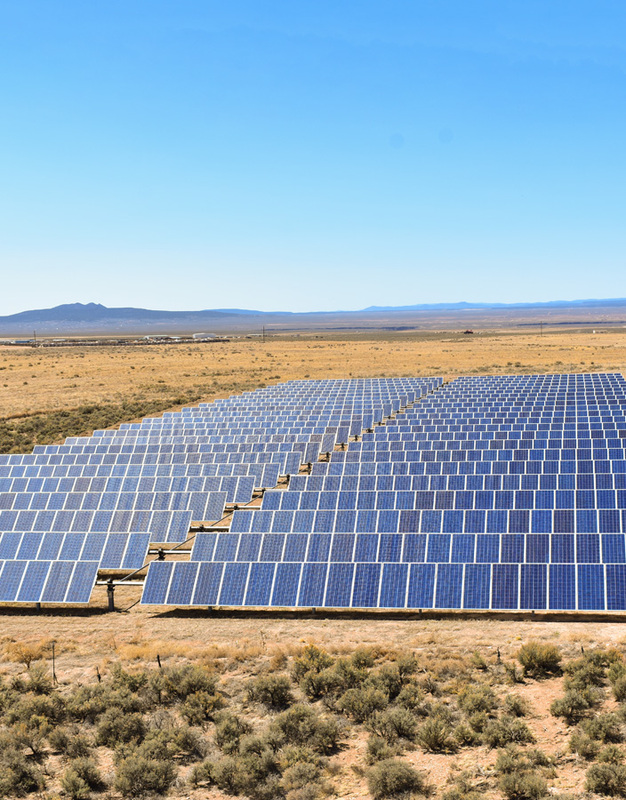 Specifically, KCEC’s project will create an energy roadmap to develop up to 35 megawatts (MW) in small solar arrays by 2022 that will result in providing 34 percent of the total electricity demand – and 100% during daylight hours on sunny days. KCEC will also implement a battery technology demonstration project, thus further advancing the Solar Energy Innovation Network’s objectives. What also became unambiguous was the fact that only a distribution coop can provide reliable,renewable energy for every member at a stable price. Most Taoseños cannot afford to privately install rooftop solar or convert gas heating to solar. By being a member of the coop, peopleknow their energy is coming from renewable energy sources; in a clean, green future for our children. Simply put: KCEC is developing renewable energy resources for All Members. Now in 2018, KCEC currently has approximately nine MWs of solar renewables online, which accounts for 24 percent of the daytime load. An additional 10 MWs of solar energy are planned and scheduled for construction in 2018. These solar arrays—ranging between one and three MWs—will be placed strategically in KCEC’s extensive service territory for optimal performance.With every new solar array coming online, the system is growing, prices are stabilizing, and resiliency is in place. KCEC has been steadily making progress over the past decade in responding to members’ requests for renewable energy options. The technical challenges in a rural, mountainous service area are formidable yet not insurmountable. One challenge is assessing how technical solutions translate into the emerging business model that keep rates stable or lower. KCEC is confident that solutions can be found with the assistance of partners like Guzman Energy, KCEC’s new full requirements power supplier. KCEC was also chosen to participate in the Department of Energy and the National Renewable Energy Laboratory’s Solar Energy Innovation Network. KCEC will be validating building 35 MW of solar arrays and up to 4 MW of battery storage. The validation will enable KCEC to confirm the best locations for the new arrays, how to integrate electric vehicles and where, if any, infrastructure upgrades are required. All cooperatives in the U.S. are pursuing the technical path to integrate distributed energy resources into their grid. Many are looking towards KCEC for guidance and inspiration.